SOCAPA offers one, two and three-week summer programs in digital and/or traditional darkroom photography with a strong emphasis on aesthetics and portfolio development. All of our intensives teach and rely upon Adobe Lightroom and Photoshop as artistic tools, and all offer a healthy balance of classes/exercises in documentary (street), commercial (portrait and studio lighting), and fine art photography. All photo students learn web publishing and create an online portfolio of their work. In addition, students in our three-week intensives leave with a professionally bound portfolio of 8x10 prints, perfect for college admissions, job interviews, and to share with friends and family. SOCAPA 'photo safaris' bring students from the heart of the city to the beaches of Lake Champlain. Hands on classes and engaging projects put the creativity in your hands this summer - we hope you bring a big enough hard drive! Work with SOCAPA's four other programs to do headshots, movie posters, dance stills, album covers and more! If you are new to SOCAPA, we recommend our Core Photography intensives, which allow students to choose between a Digital Only or Darkroom & Digital focus. If your time with us is limited, try our shorter, one-week Photography Boot Camp for an exciting crash-course covering all the fundamentals. For return students, we have Advanced Photography, which builds upon the foundation laid out in Core Photography and emphasizes themed portfolio development for college admissions. SOCAPA digital photography starts with introductory camera tech classes to learn the basics of working with DSLR cameras and digital workflows. Shooting in raw, students learn how to import and develop their photographs in Adobe Lightroom, followed by advanced manipulation classes in Adobe Photoshop. In the Advanced Photo Camp, students dig deeper into digital workspaces and creative manipulation. SOCAPA curriculums follow professional best practices and prepare students for pursuing photography as a passion or in college. Starting with the basics, students will learn how to develop 35mm film in the darkroom. Students will then print their photographs using enlargers and chemical baths. Working in the darkroom provides students with an opportunity to slow down, spend time with each image, and really understand the impacts that technical and aesthetic choices have on a final photograph. Learning to develop film and prints informs how students think about light, time, and photography as a whole. Students get the chance to work in professional darkrooms, sharing equipment and methods that have been refined over the lifetime of photography. From the streets of Chinatown to the shores of Lake Champlain, explore the city on SOCAPA "photo safaris" and photograph the faces and places that make each city unique. New York City, Los Angeles, and the diverse landscapes of Vermont, offer a wealth of photographic opportunities as well as some of the world's most exciting collections of visual art. Field trips are planned on an almost-daily basis. 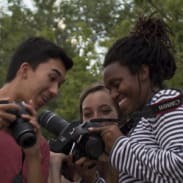 Students spend more time at the parks, boardwalks, streets and museums, learning and practicing photographic techniques, than they do in the traditional classroom. Formal classes in the history of photography, aesthetics, photo theory, Photoshop, Lightroom and studio lighting complement the work they do out in the field. SOCAPA's engaging and immersive curriculums employ diverse and progressively more complicated projects to reinforce and build upon in-class discussions, and provide a fun and creative way to learn. From self-portrait assignments, to street photography, headshots, movie posters, and web portfolios, be sure to bring a big enough hard drive to bring it all home! After completing a "Headshot Workshop," including a creative portraiture and natural lighting lesson, photographers will be paired up with students from the SOCAPA acting program to create professional studio headshots, portraits, and action photographs. Students will gain a basic knowledge of studio set-up, learning to control strobe lighting using equipment such as soft boxes and grids, creating a "drop-out white" background for professional headshots, and lighting subjects for dramatic, creative portraits. Photographers will gain the valuable skills needed to successfully direct photo subjects while experiencing the excitement of working in a professional studio environment. This project takes its name from George Hurrell, the famous Golden Age Hollywood MGM photographer. Guided by lessons on composition, street photography and techniques for safely and confidently approaching subjects, students will take to the streets, capturing candid portraits, human interactions, architectural street scenes, and urban details. This assignment takes its name from Henri Cartier-Bresson, an early 20th century master of street photography and father of photojournalism, who coined the expression the "decisive moment." Practice of the "decisive moment" encourages students to capture that fleeting creative instant in which everything in the frame comes together to create the best possible image. Through this exercise, students will build an awareness of framing, light, color, form, line, and pattern and will learn to make a multitude of aesthetic choices, to create technically strong and emotionally engaging compositions. Students in the two week program will have the opportunity to create a series of creative self-portraits. 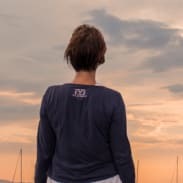 Students will be encouraged to think outside the box, discovering what they want to say about themselves and translating this into images using in-camera techniques, costumes, props, lighting and/or Photoshop compositing. In addition to practicing the creative controls of shutter speed and depth of field, students will learn to work with self timers, tripods and manual focus. This project will stress the importance of conceptualization, metaphor, symbolism and self-expression, teaching from the work of photographers such as Cindy Sherman, Nikki S. Lee, Gillian Wearing, and Andy Warhol. Get inspired by and collaborate with SOCAPA's four other programs in unique inter-disciplinary projects. Create movie posters for the filmmakers, headshots of the actors, or photograph the dancers on their video shoot. 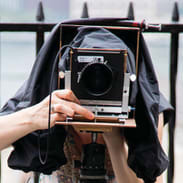 Beth moved to NY in 2001 to work for photo heroes such as Mary Ellen Mark and David Levinthal at the 20x24 Studio. In 2004, she started exploring photographic print methods including wet plate collodion and photogravure. She currently divides her time between her studio in Brooklyn and northern California, using photography as a personal means to explore the natural world and as a commercial medium to document beautiful interiors created by designers. She has also been teaching film photography and alternative processes since 2006.
" intense and exciting! I loved the combination of learning photography with exploring New York City. The instructors were the best!" "absolutely awesome and I will always remember it as the summer that I made the final decision to pursue photography as a career. I was just accepted to Rochester Institute of Technology's (RIT) photojournalism department"
"as far-reaching as they come"